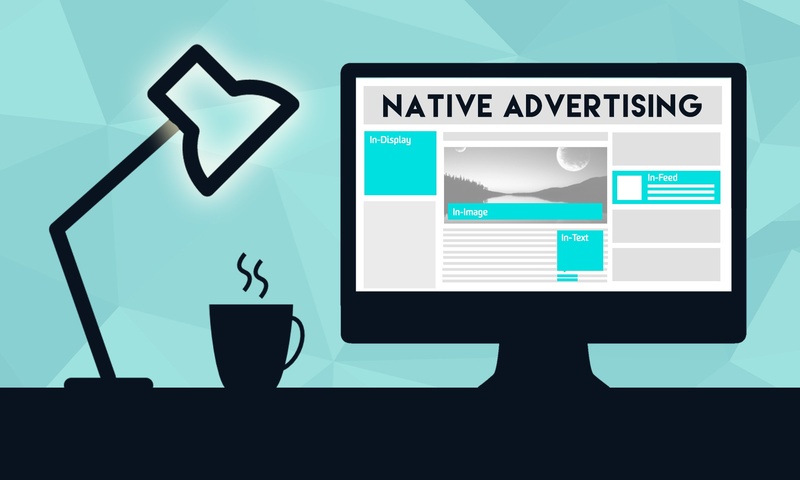 A true definition for the term native advertising seems to be an elusive creature, although the phrase itself has been used widely around the Internet and in various markets over the last couple of years. As a new buzz word in the world of marketing, native advertising has gotten a great deal of play in the digital media industry. ExactDrive is excited to offer native advertising as yet another powerful online advertising option for our clients. Our self-serve advertising platform with managed services provides a leading solution for advertising your brand online. If you're asking for a simple answer to the question "What is Native Advertising" the best answer you'll probably get is that it's a type of advertising that matches the function and form of the platform on which it appears. 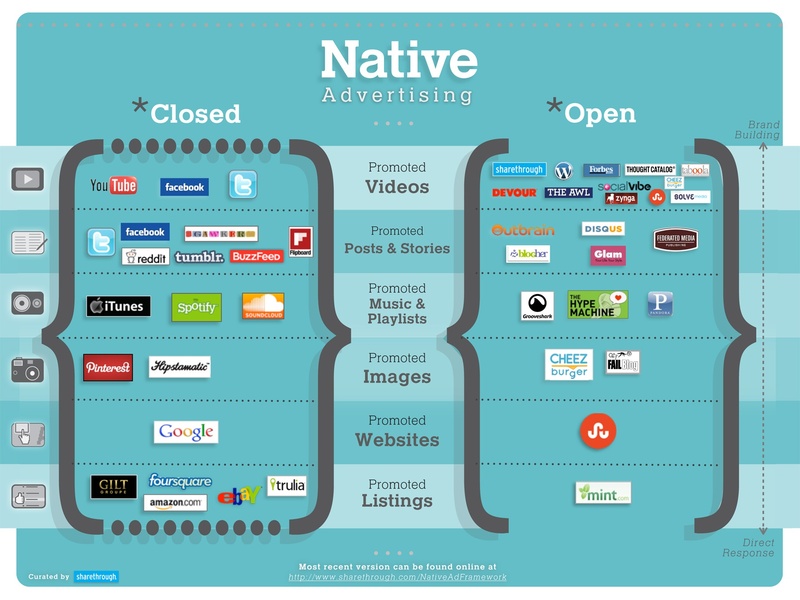 Although the definition may not be straight forward, there's no denying that native advertisements work. After all, the most common Internet technique of all (search ads) are a form of native advertising, and Google just goes to show how well that strategy can work. Following, we'll go into a deeper explanation of what native advertising actually means, and how you can use it to deliver profitable benefits to your company. 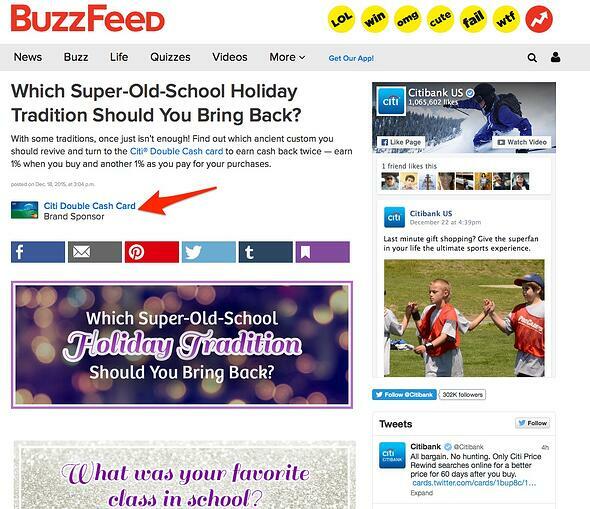 So now that you know what native advertising is, why should you bother using it? The simplest answer is that native ads grab the attention of your audience, and this is crucial to the success of your business. In fact, a study that was conducted by IPG media and Sharethrough found that as much as 25% more consumers looked at native ad placements in comparison to traditional banner ads. The more visitors are looking at your ads, the more clicks you're going to get, and the more often those clicks are going to translate into conversions. However, this isn't the only benefit of getting started with native advertising. At the moment, a large percentage of the marketing world hasn't caught on to native advertising, and according to surveys, almost 50% of marketers couldn't tell you anything about native advertising if you asked them. In other words, you've got a powerful new tactic for marketing at your fingertips and your competitors know nothing about it. With native advertising, you could start to get the boost in traffic that you need for brand recognition, improved profits, and increased chances of success. As mentioned above, the original "native advertising" was introduced by Google, in the form of search engine advertising. Since then, the concept has had some time and space to evolve, meaning that today there are three primary forms of native advertising to choose from. The first, and perhaps most obvious option, is sponsored content. Videos and articles that appear on popular websites that have already generated a significant following online, such as "Wired", or "Buzzfeed". The content on these websites are designed to mimic the feel and style of other editorial content, but behind that façade is a promotional intent - someone who is looking to sell to you. The idea is to offer something so entertaining, that your consumers forget they're watching an advertisement in the first place. However, for many small businesses, sponsored content isn't really something that can be achieved, and done well. Rather, sponsored content is the primary option for bigger brands like Purina and Virgin Air. However, that doesn't mean that there aren't other forms of native advertising that might work better. Are you more likely to go out of your way to watch a random video, or one that your friend, or trusted acquaintance has already recommended to you? Content recommendation engines are making recommended content more of a realistic opportunity for companies around the web. 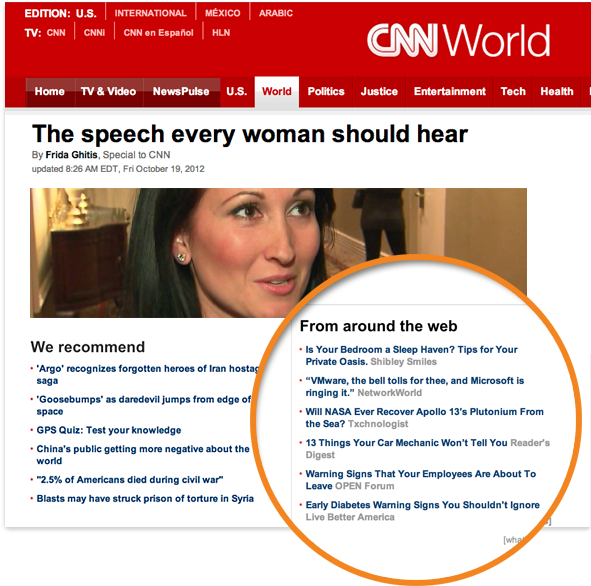 On CNN.com, this shows up in the "around the web" links, that blend almost seamlessly with the rest of the experience of reading an article or visiting a page. Testing has shown that having the right shout out from a relevant brand can make all the difference to businesses of any size, helping to draw extra traffic to content. 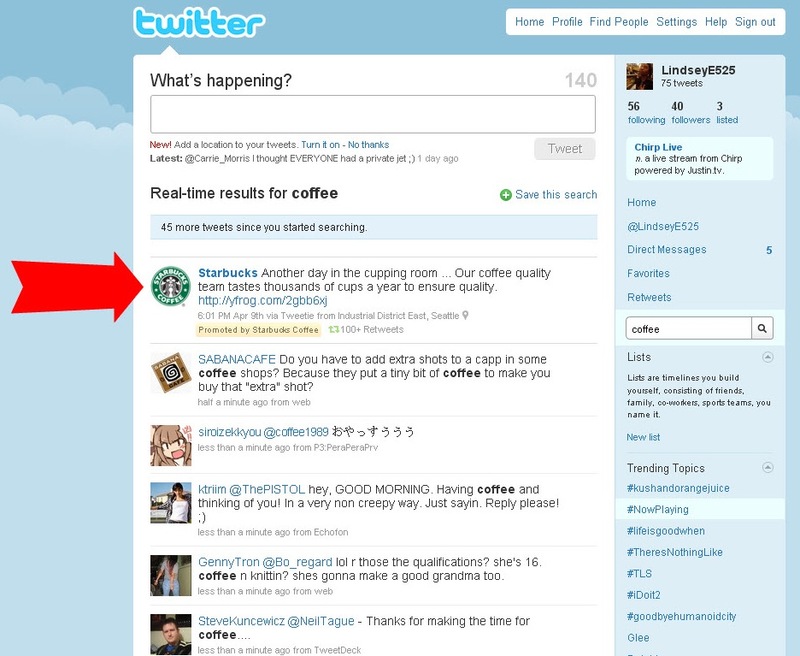 Finally, in-feed social advertising is perhaps the best place to start if you're new to native advertising options. You can set up your experience with in-feed native ads within a matter of minutes (usually less than an hour), and as a marketing solution, it's cheap and easy to manage. In-Feed ads promote something while promising value to the person who's reading the ad. Although it may not contain a direct offer, it should lead you to a page that asks for further information, or takes you deeper into the sales funnel. It's not just Facebook that's open to native marketers anymore, either, in-feed ads are now available on LinkedIn, Twitter, and even YouTube in the form of quick ads that appear before the intended video.